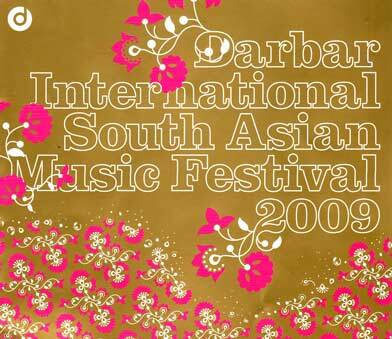 This is an ongoing spectacular 3-day festival of South Asian Music at London's South Bank Centre, with many famous international musicians specially arrived and greeted with enthusiasm by the knowing audience. We attended the first evening, running from 6.30 and continuing in overtime well after 10. 30 ! We heard several rare instruments played by acclaimed masters. Somjit Dasgupta is one of few exponents of the Dhrupadi Rabaab, an ancient instrument of which he has a collection of some 60. He performed on a precious mellow example 300 years old. It is unfretted and played with a plectrum, like the sarod. In a long, greatly appreciated set, extending for most of an hour and a half, he was partnered by "Pinky" Sukhwinder Singh on the Jori, a larger, lower version of a double percussion instrument like the tabla. Of particular interest for western listeners was the violin playing of Jyotsana Shrikanth, a British based medical doctor who had forsaken that profession for music. She shadowed the singing soloist with remarkable prescience, and her vibrato-free playing was of a skill fully comparable with that of our leading baroque violinists. It is inspiriting to see the visible and vocal enthusiasm of a knowledgeable Indian audience, who applauded the most spectacular sallies of decorated melody, and with their hands were following the rhythmic complexities of the rags being interpreted. That level of understanding is a long and steep learning curve, as we discovered when attending a week's Immersion in Indian Music at a SOAS summer course. Readers of MusicalPointers will be familiar with our concerns about amplification of non-Western music, which in our view has become excessive and is often compromised with distortion. Darbar has the benefit of high quality sound equipment and transmission is gratifyingly free of distortion. Nevertheless, to our ears (and we are far from the only afficionados of this music who have raised this issue), it was still loudly amplified, rather than subtly "enhanced", which we have advocated: q.v. http://www.musicalpointers.co.uk/articles/generaltopics/why_not_amplify.html. And from our front-left press seats we predictably found ourselves watching the players to our right, whilst hearing them wholly from the left of stage loud speakers; a disorienting and disturbing experience. But we would still have preferred the volume to have been kept within bounds, and to have heard the true sound of the delicate 300 yr-old rabaab itself. The virtues of a different approach were experienced a few days beforehand, in an unamplified concert by a small baroque chamber group in a far larger venue (Red Priest at Cadogan Hall). The last word about this with Darbar: they are well aware of the issue (with the demand for high amplification often led by musicians themselves) and are presenting a special "Unplugged" acoustic concert at the Menuhin School on 7th April; Purbayan Chatterjee/Kumar Bose at Yehudi Menuhin Hall, Cobham. Lacking the vocabulary for an informed assessment of these musicians and their interpretations of chosen rags, I prefer to lead you to see and hear some of them yourselves at some excellent videos on line. To give you something of a flavour of this Darbar festival try Somjit Das Gupta on the rabaab at http://www.youtube.com/watch?v=TX8DSlVq3QE and Aruna Sairam with mridangam and ghatam at http://www.youtube.com/watch?v=lAvNsc1HcWs . Then, hasten to the Purcell Room to catch some of the remaining sessions Saturday 4th and Sunday 5th April; an exciting experience guaranteed! If you don't make it there, visit the Darbar website to see the whole programme of events, including a two day festival in Leicester 11/12 April.